Ray Apollo formed a tag team with Jim Powers as “The Boys from New York City”. December 16, 1990–Starrcade: The Steiner Brothers defeated Sgt. 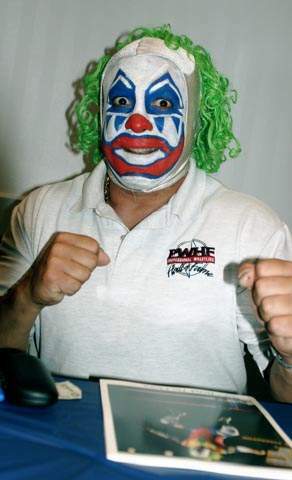 Krueger [aka Ray Apollo] & Col. DeKlerk [aka Ted Petty] (Africa)..
Ray Liachelli was one of the many men who played Doink The Clown in the World Wrestling Federation..